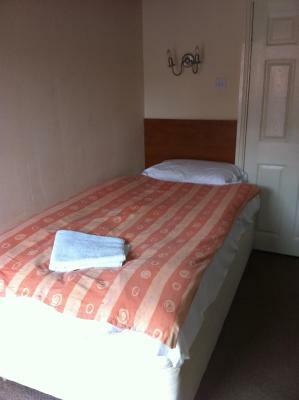 The room had three separate beds which was great (I was expecting a double and a single) and the room was comfortable and the staff were really friendly and helpful. The bar was very friendly, The bar staff were helpful. 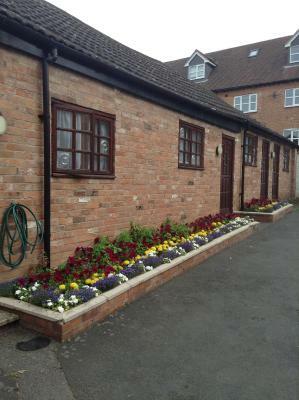 Good location just a short walk to the Market Square in Warwick. 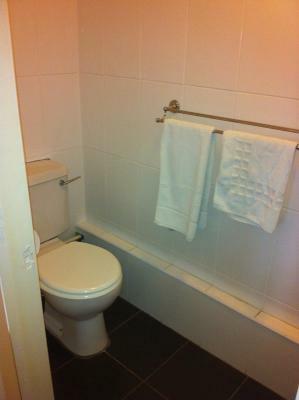 Easy access to the room through a back entrance. Comfy bed, not too noisy from the street below. Tea/coffee in the rooms, huge tv. Room reasonably clean and up-to-date, but very basic, with wood veneer flooring. 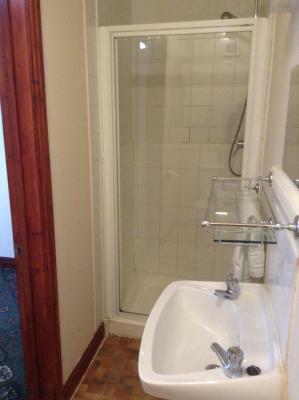 Shower good, though door leaked all over the bathroom floor. 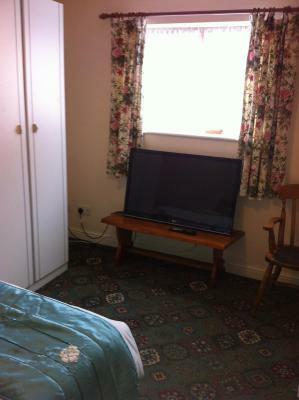 Very friendly, helpful staff, a lovely cooked breakfast, a comfy bed and a good-sized TV. Staff was excellent; they were attentive and helpful (though I could not find anyone at 09:30 Friday when we checked out to hand in the key. The bar/restaurant was locked, and nobody answered my knocks. Thus I left the key on a shelf in the room with the door unlocked). Breakfast was nice, though we chose to have just toast and fruit. They did offer a full cooked breakfast. Location was very good. We could easily walk to Warwick town center, the castle, and the bus station (for bus to Stratford-upon-Avon). We would stay here again. 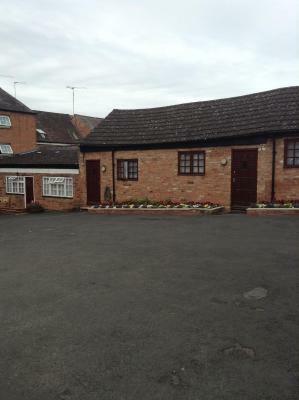 Black Horse Inn has a cozy and friendly atmosphere, and is convenient for visiting Warwick Castle, Leamington Spa or Stratford-Upon-Avon. Free on-site private parking is available. The welcoming inn serves home-cooked food at lunch and in the evenings, and the bar serves fine wines. There is also a comfy lounge and a large car park. 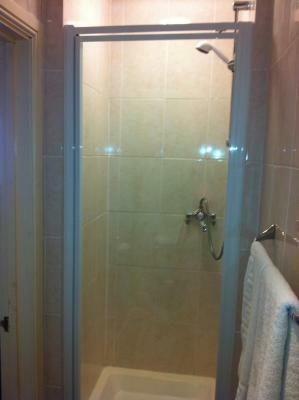 뀐 Located in the top-rated area in Warwick, this property has an excellent location score of 8.0! 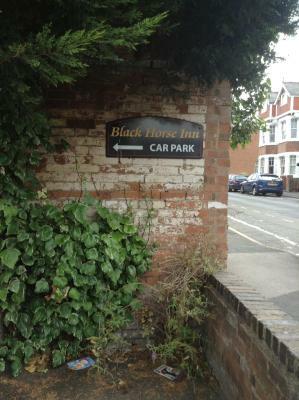 When would you like to stay at The Black Horse Inn? 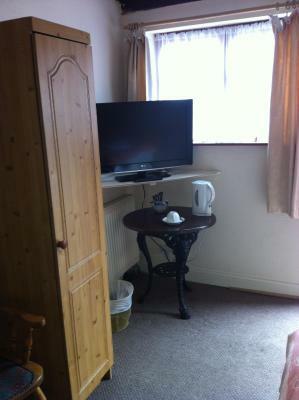 Rooms have a TV and tea and coffee-making facilities. House Rules The Black Horse Inn takes special requests – add in the next step! The Black Horse Inn accepts these cards and reserves the right to temporarily hold an amount prior to arrival. the room was nasty, the flooring was slippery when wet after a shower, the bed moved when sat on it, tv sometimes didnt work, there was no desk. pillow case was dirty,, towel was dirty, there was a hole underneath the shower, mold on the ceiling. The bed was very uncomfortable and the room would have benefited from having black out curtains/blinds. Tv remote, every button worked except the standby button and the light above the bed didn't work either. After making this booking I saw some poor reviews and nearly cancelled but I'm glad I didn't. 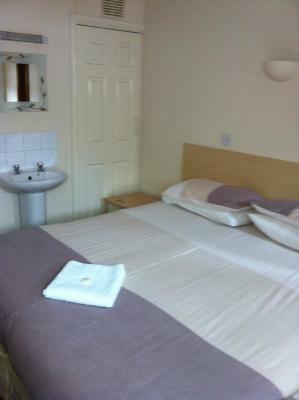 The rooms were clean and warm, and the beds very comfortable. 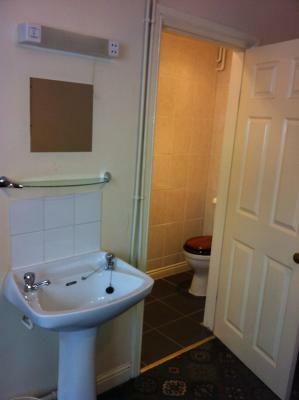 The rooms were accessible from the car park which was great for my mother who has difficulty with stairs. We were not disturbed by any noise and both of us had a good night's sleep. We were visiting family close by and so didn't take breakfast there. 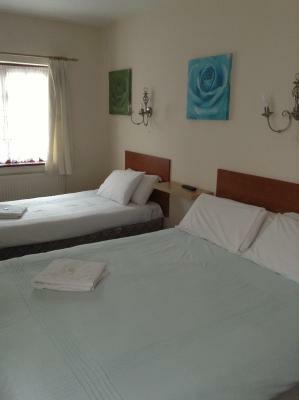 The rooms could perhaps benefit from some modernisation but for what we needed they were absolutely fine. Only 10 mins from warwick castle. Staff really friendly. The breakfast was freshley cooked and offered top ups several times. Friendly staff. Unfortuantely I had to be out each morning so missed breakfast and cannot comment on this. 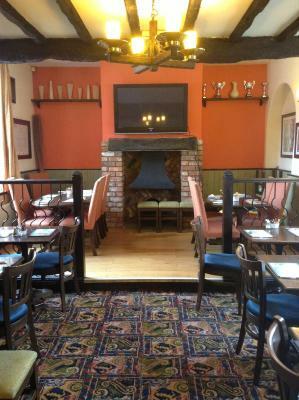 No food available on tuesday nights -- very quiet in pub - no atmosphere !! 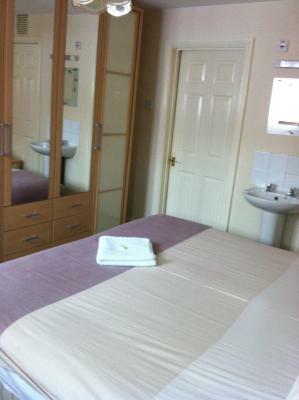 Very warm in rooms -- clean&tidy. Decor looked a little tired. Good for an overnight stay. Great location. Friendly staff, lovely greeting when we arrived from Natalie (?). Websites (inc Booking.com) state that it has a restaurant and offers "great home-cooked food" and "Pub classics" both for lunch and dinner in the evening. It does not have a restaurant and does not offer any food at all in the evening - so we had to go out, which we did not want to do! The Black Horse Inn website also states that breakfast is included - it is not, they now charge £7 pp for it! Nowhere does it tell you this! When I raised these points with the owner, she was very dismissive and patronising. She claimed they did not have a website, and when proven that they did, she then back-tracked and said "it must be from the previous owners - it is nothing to do with us" - really, how could they not know this was in existence?? 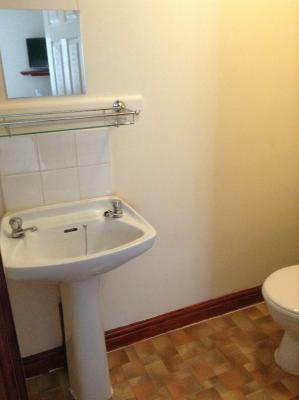 Rooms had been recently decorated, but quality of finish was really poor with no attention to detail. The breakfast, which we reluctantly paid for, was mediocre - they refused to cook me poached eggs "fried or scrambled only" and mushrooms were overcooked, dry and hard. The whole experience was disappointing, thankfully we were only there for one night!